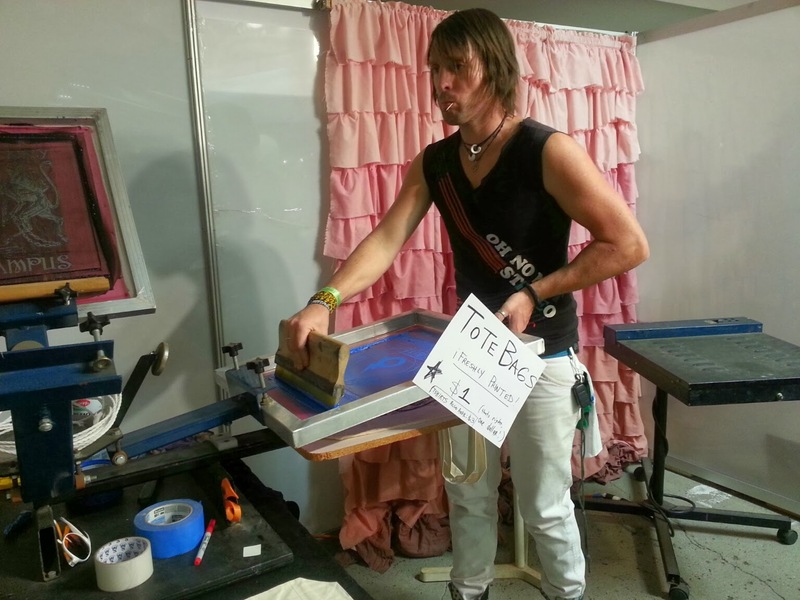 Live Screen Printing = Hit of the Party! As screen printers, we have been at MANY live events. And I have yet to be at an event where we AREN’T the hit of the party. 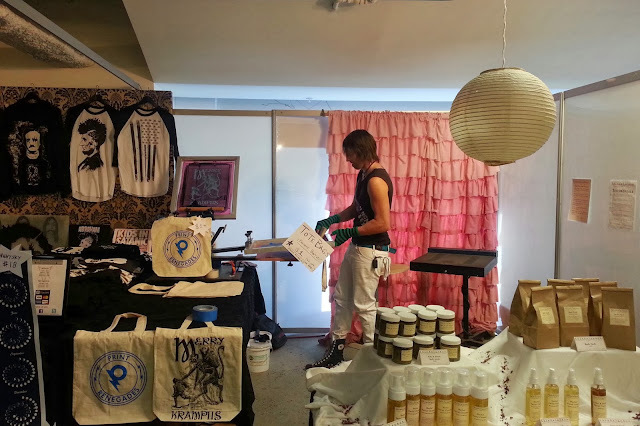 Everyone loves the idea of live screen printing, especially when it accents a certain element of a party or event. If its helping to promote a film or music release, if its at an art gallery printing recognizable imagery, or just at a bar/club printing random artwork, people love it. It puts the people in charge of creating a custom piece for themselves, and lets them see the beauty of creating a printed garment in front of their own eyes. 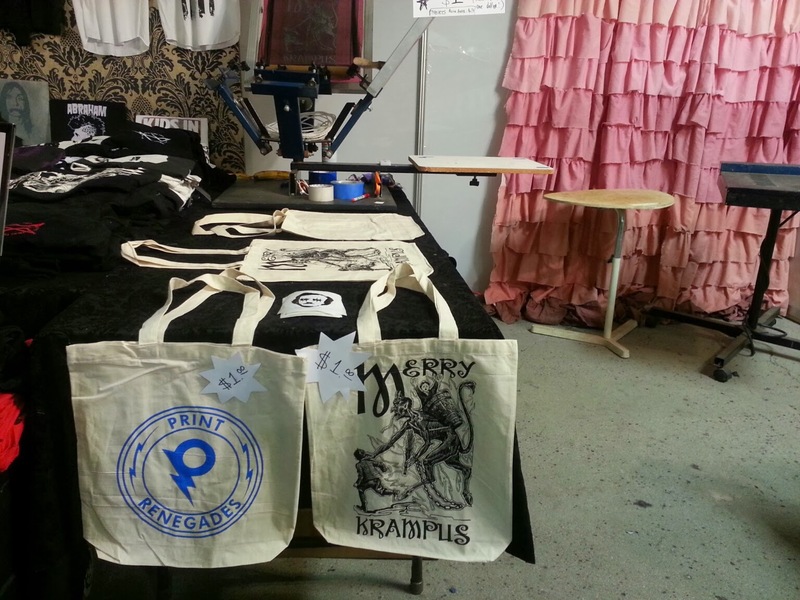 Because screen printing has the ability of being mobile, small and portable, we are able to hit up a wide variety of events to make it even THAT much better!! Email us with any live screen printing requests that you may have!